Every company has a brand to manage, and Digital Asset Management technology can help significantly here. "Basic Brand Management" is the first — and perhaps most foundational — use case in RSG's newly-updated roster of vendor evaluation criteria. Corporate communications and marketing departments use a basic brand library to store and find common brand elements, logos, style guides, documentation, and perhaps finished pieces. You may share those assets with both internal teams and external agencies and partners. In some instances, you may focus on a single asset type, such as cataloging all logos or online banner ads. 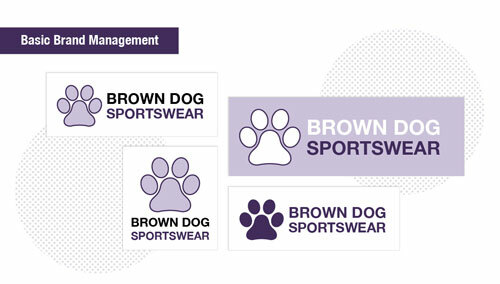 Simple brand management requires basic metadata support, basic packaged transformations to provide approved renditions for various media, security to control asset access and visibility, elemental deduping to limit brand dilution, and a simple folder structure to facilitate navigation and search across brands. You may also need basic website integration — perhaps via asset URL reference — that supports presenting specific images or brochures in pages on a corporate website or extranet. In these cases, tracking the "where used" relationship, determining which brands and logos are used, is handy — though our research confirms that too few vendors support this. Is Basic Brand Management one of your scenarios? Find out which vendors are best suited to the Basic Brand Management scenario by using the RealQuadrant Shortlist Generator as part of your DAM research subscription.